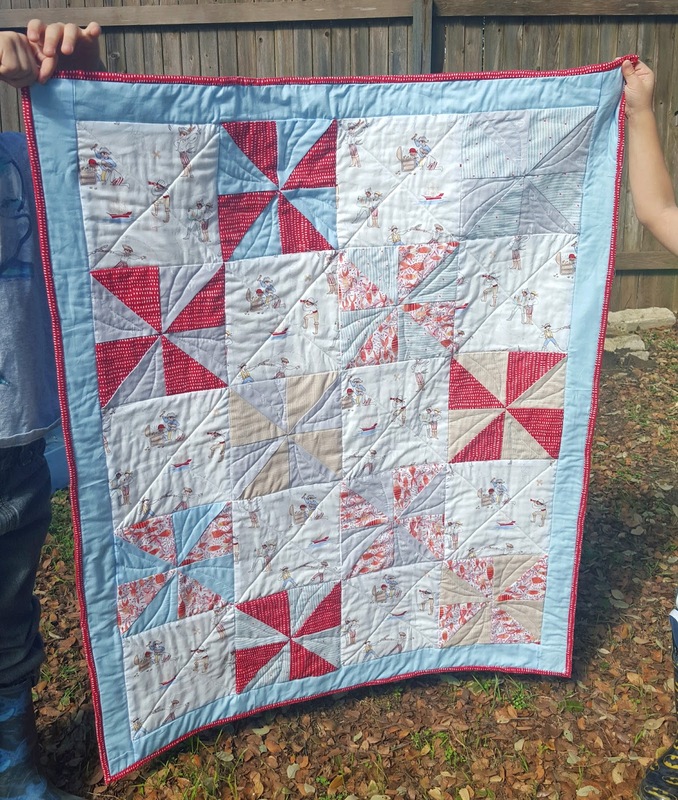 I've always wanted to make a pinwheel quilt, so for my cousin's baby shower I made this one! I picked out the fabric at a local quilting shop and used a Youtube tutorial from Missouri Star Quilt Company. In fact, here's a secret: everything I know about quilting I learned from Youtube. There will be quite a few youtube links upcoming as I post more pics of the quilts I've done this winter! I didn't have a ton of time for pictures of this particular quilt because, of course, like any good crafter, I finished it the morning of the baby shower. The big quite squares have cute little pirate boys on them, and the pinwheel blocks have a few nautical/fish themed fabrics thrown in.